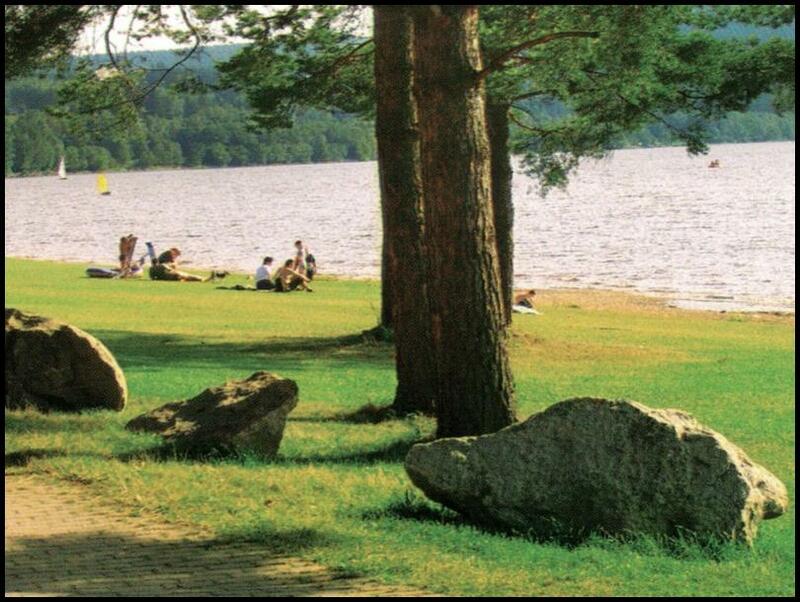 We offer you an accomodation in hotel Panorama which is situated directly at the shore of the Lipno lake. The hotel is surrounded by a big park and it has its own beach. There is a modern inside swimming pool approximtely 100 metres far from the hotel, our premises are intersected by a new path for cyclists and inline skating, which is connected to the Austrian cycling routes. There is also a possibility to visit the Treetop Walkway, which is a very interesting trip destination, or a huge lego exhibition, or the Forest Kingdom which offers a full day's entertainment for your children. When accomodating for more than 3 days you will receive Lipno cards, free of charge, which will ensure you discounts for most of the attractions. The price is 450,- Kč with breakfast or 500,- Kč with half board. Accomodation for children up to two years old is free, children from two to six years 250,- Kč, (300,- Kč half board), from six to twelve 300,- Kč (350,- Kč half board), dogs 50,- Kč per day. The price for groups over 20 people is 450,- Kč half board or 500,- Kč full board, every 21. person has free accomodation. You can find other possibilities of the accomodation at www.ubytovani-lipensko.wbs.cz.